In these years we felt the love of the visitors to our land and its products. Who comes in Emilia is increasingly aware of the traditions that fill our lives and our places so that we offer the chance to visit some companies where these products are realized. 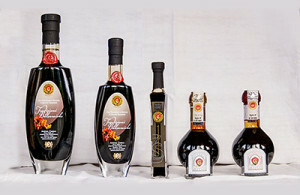 The Modena’s traditional balsamic vinegar is one of the most important and unique products of our area. It is the result of a continuous work of years to get a truly unique. Within an already small circle of producers, we have selected one that has the characteristic of being also an organic producer. 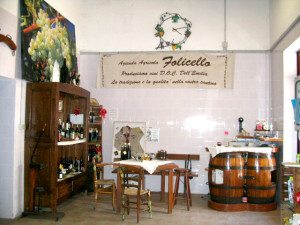 Caselli vinegar is located few kilometres out from Spilamberto, the historic center of the production of Modena’s traditional balsamic vinegar. To reach this company you need a 45 minutes drive from the farm and one hour to walk along with Simone to discover the secrets of this product. An interesting experience available for our guests is the chance to visit a craft brewery that also produces organic line. The brewery’s name is the Old Bear and its special feature is that it’s a social cooperative that also employs disadvantaged partners in the processes of beer. So, it shows a marked sensitivity to the social as well as environmental bio productions. Starting from our farm , will be no more than 20 minutes by car and the visit will take approximately one hour. Caretti dairy is a company that deals with breeding. 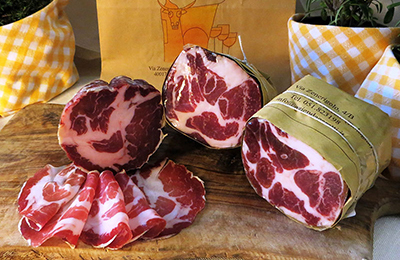 The cowshed is situated right next to the factory where they produce the Parmigiano Reggiano cheese. You will be impressed by how cheese curds that skilled master cheesemakers become Parmesan according to a very old tradition, as you will be enchanted by the efficiency of the warehouse where the forms are stacked and ordered ready to face the aging period required to get to give us the cheese so good and so the attention is never enough! From our farm, moving to reach the cheese factory is about 20 minutes, then needed an hour to visit the places of work. You must start the visit around 8 – 8.30 in the morning if you want to see the stages of milk processing. The Folicello biodynamic winery has engaged for years in the production of local wines with the tenacity of attention to both the environment and to consumers, in fact, the product is a wine grown in compliance with the rules of biodynamic agriculture and it’s made with a very low percentage of sulphites, actually, some lines of wine are even devoid of this chemical. Marco and Antonella will be delighted to welcome you and make you visit both the rows that the place of grape processing to let you touch the passion and the desire to constantly improve the quality standards.